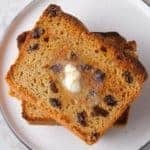 Gluten-Free Cinnamon Raisin Bread Recipe! Easy to make. Not too sweet. Perfect for toasting or as a base for French Toast. 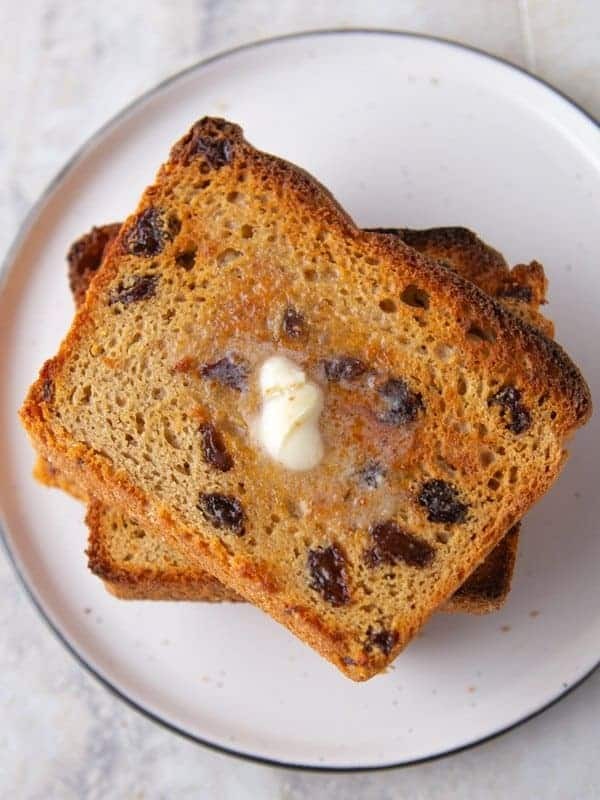 Cinnamon raisin bread is one of my favorites—and I don’t usually like raisins! This recipe, based on my popular gluten-free sandwich bread, makes a loaf that’s soft and tender but not too sweet. It’s a wonderful loaf for beginner gluten-free bakers. To get a soft and tender gluten-free bread, this recipe starts with a really wet dough. How wet? Think of a thick cake batter. That’s what it looks like. The reason for this is that brown rice flour and tapioca starch perform better when they’re fully hydrated. It allows the dough to rise nice and high.To ensure the flour and starches absorb all the liquid in the recipe, mix the dough for about five minutes. Although it might not look like anything is happening during that time, two important changes are occurring as the dough mixes. First, the dough temperature rises, which the yeast loves, and the flour and starch absorb the liquid. At the end of mixing, the dough should look soft, shiny, and smooth. Allow the Dough to Rise—but just once. Spread the dough evenly into a greased 8×4 inch loaf pan. Cover it with a piece of greased plastic wrap and allow to rise for about an hour. 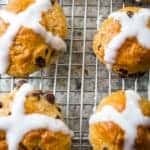 While traditional yeast-dough usually go through two rises, this dough doesn’t benefit from a double rise.Once the dough has reached the top of the pan, preheat your oven. If you wait until the dough fully rises to preheat the oven, it can over-rise and collapse during baking. Bake to 210 degrees F.
Using a digital thermometer is the best way to know if a loaf of bread is done. Insert the thermometer in the center of the loaf. The temperature should read about 210 degrees F. If the top browns before the center of the loaf is done, place a piece of foil over the bread and finish baking. Cool (at least a little) before eating. Freshly baked bread is delicate. Allow the bread to cool in the pan for about five minutes and then transfer to a wire rack. 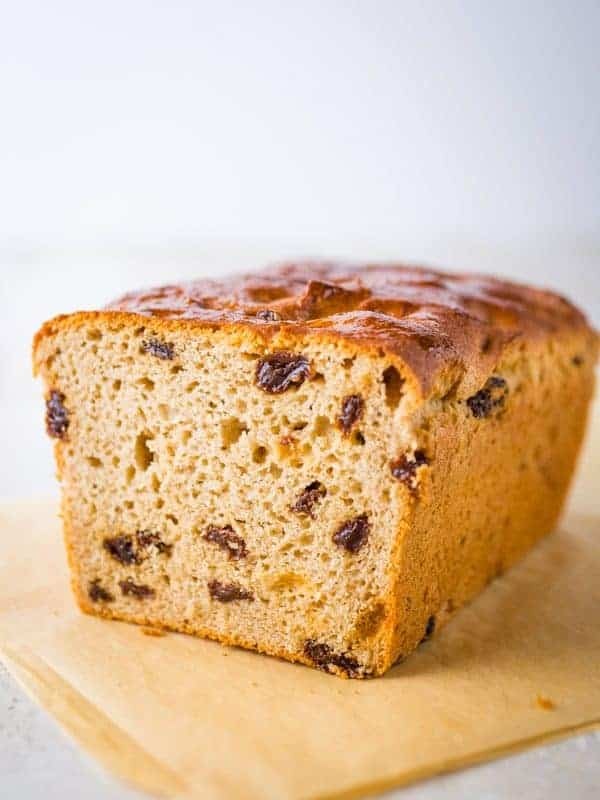 Placing the loaf on a raised wire rack allows the steam to escape and prevents the bottom of the loaf from getting soggy.It’s best to wait until the loaf if fully cool before slicing. If you can’t wait that long, wait at least 20 minutes. This allows the starches to set. Slice and enjoy or slice and freeze. This bread keeps for about three days on the counter or about three months frozen. To freeze the loaf, allow it to cool completely. Wrap with plastic wrap and place in a freezer bag. Or slice the bread into individual slices, place a piece of waxed paper between each slice, wrap in plastic wrap and freeze in a storage bag. 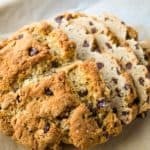 What Gluten-Free Flour Blend Should I Use? For yeast breads, like my gluten-free sandwich bread, it’s best to use a homemade gluten-free flour blend. My preferred blend contains brown rice flour, tapioca starch, and xanthan gum. If you use a commercial blend, make sure it’s recommended for use with yeast breads. Some are not. What’s the Best Yeast to Use for Gluten-Free Bread? Instant dry yeast, also called “rapid rise”, “quick yeast” or “fast acting yeast” is an excellent choice for gluten-free yeast breads. It dissolves quickly and, as the name implies, works quickly. How long does the dough take to rise? This loaf takes about 45 minutes to rise. Very warm or very cold environments will impact how long the dough takes to rise. You want the loaf to have doubled in size before baking. How do you know when the loaf has risen enough? Look for the dough to have doubled in size. If it rises higher than that, it can sink during baking or cooling. 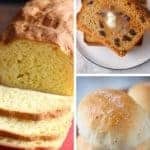 Can I make this bread without eggs? Can I make this loaf without milk or butter? Yes! Replace both the milk and melted butter with your favorite dairy-free alternative. 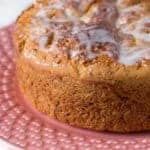 Can I use this recipe for cinnamon buns? No. This recipe makes a very soft gluten-free dough. It can’t be rolled into cinnamon buns. My loaf sank in the center. What happened? It probably rose too much. THere’s a balance between a rise that’s enough and too much. When gluten-free yeast dough rises too much, it deflates when it bakes, causing it to sink. 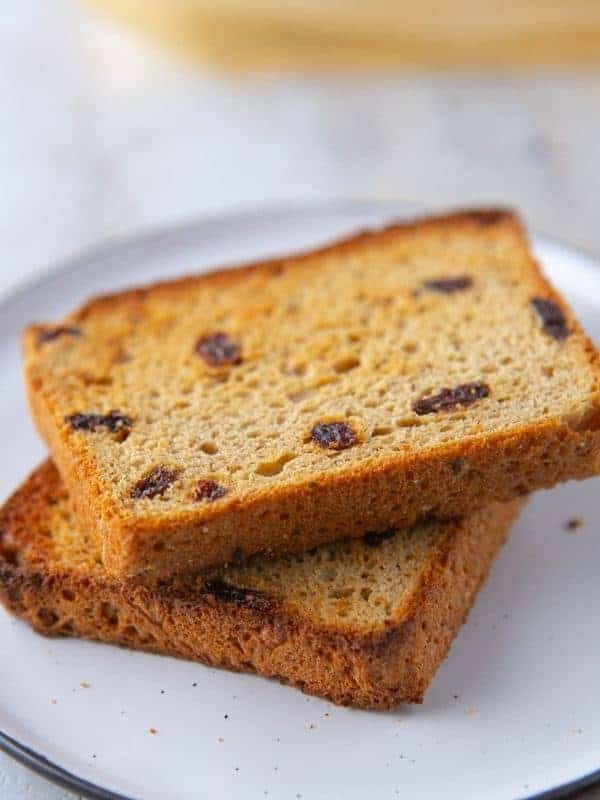 Soft and tender gluten-free cinnamon raisin bread. Whisk together milk and yeast in a small bowl. Allow to stand for five minutes. In the bowl of a stand mixer, combine brown rice flour, tapioca starch, brown sugar, xanthan gum, cinnamon, salt, and baking powder. Whisk to combine. Fit the stand mixer with the flat paddle attachment. Add the yeast mixture, eggs, melted butter, and vanilla extract. Mix on medium speed for five minutes. Dough will be thick. It will not form a ball. Stop the mixer. Add the raisins. Turn mixer to low speed. Mix until raisins are incorporated. The raisins should be soft to the touch. If your raisins are dry, place them in a small bowl. Pour just enough warm water over the raisins to cover. Allow the raisins to soak for about five to ten minutes. Drain the raisins and then use as directed.